AssistRR organised yet another free cataract surgery camp, this time in Kilinochchi, helping 99 patients to regain eyesight at least in one eye. This camp was funded by Karai Welfare Society, UK, and facilitated by Enlightenment Circle, UK, an arm of Saiva Munetta Sangam, UK. 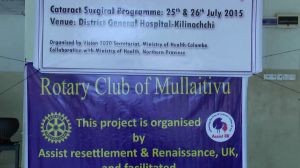 This camp was conducted with the support of Vision 2020 and the surgeries were carried out by Dr Dias Jeyasiri single handed on voluntary basis. We would like to express our gratitude to Dr Dias for his continued selfless services to humanity. We would also like to thank Dr Asela Abeydeera, Dr Ahamed and their team for making these camps happen and assisting Dr Dias at these camps by scarifying their family times over weekends. 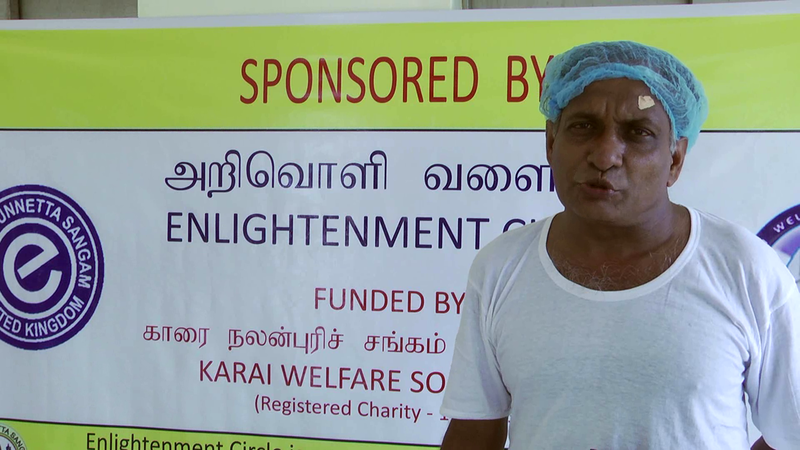 We also would like to thank Karai Welfare Society for their financial support and Enlightenment Circle for facilitating this good cause. Although we wished to conduct this camp since Nov 2014, we faced difficulties due to local issues. The issues were finally resolved at the Steering Committee meeting of Vision 2020 in June 2015. 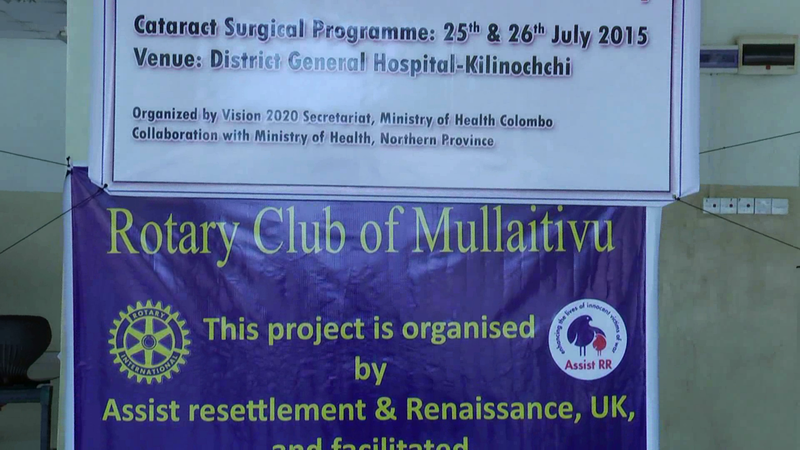 Our chairman, Dr Sarveswaran, who is a member of this Steering Committee, attended the meeting on 19 June and received assurance that these camps will continue uninterrupted so that anyone can assist prevention of avoidable blindness amongst vulnerable patients. 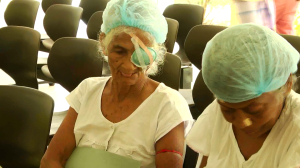 These camps will also help to reduce the backlog of cataract patients. 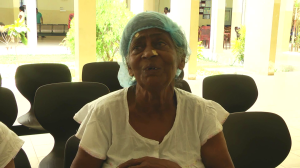 Director General of Ministry of Health, Dr Mahipala, stated, in an interview with Daily News appeared on 01 August 2015, that there are nearly 150,000 blind patients in Sri Lanka due to cataract, which is an avoidable decease and can be reversed by spending just £23. He also stated that helping someone to regain eyesight is better than having a big bash to celebrate a birthday. There are thousands of patients in the waiting lists in Vanni and the east. Please kindly consider helping someone to regain his/her eyesight.